Online Trading Academy is a global leader in the financial education industry. Below are press releases detailing major product launches, strategic alliances, new center openings and other exciting events. Online Trading Academy (OTA) was awarded the 2019 Singapore Business Award for “Leader in Investment Education” by APAC Insider Magazine. Starting off as an OTA student and then opening up her own franchise, Motisi demonstrates time after time that hard work and determination always pays off. As a B Corp, Online Trading Academy extends its culture of love by organizing and encouraging initiatives that promote social and environmental responsibility. 2018 saw the Online Trading Academy network of trading and investing education centers grow to 48 locations spanning 5 countries. CliK Beta was rolled out to Online Trading Academy Denver students and was given high praise as a beneficial education, analysis and trading platform. For the second year in a row, Online Trading Academy (OTA) has been named Top 50 franchise by Franchise Business Review. Jim Lund joins the Online Trading Academy team with a key goal of taking the company's online education offerings to the next level. Student Success Has Always Been Top Priority for Online Trading Academy and now they have a way to spotlight and celebrate students’ hard work through a new program called InveStars. Online Trading Academy strives to provide a supportive culture in its workplace and by the response of employees to an anonymous survey conducted by the OC Register, it must be working. Online Trading Academy welcomes experienced executive Mike Richardson as President after a year long consultancy in which his positive impact on the company was evident. Online Trading Academy continues to prove its commitment to student success with their latest student resource, Clik, a ground-breaking trading platform. Online Trading Academy has developed a unique company culture that values employees and their contributions, and the employees appreciate it as indicated by a recent independent survey. Online Trading Academy Singapore is now a two-time winner of APAC Insider Magazine's Singapore Business Award for their continued dedication to providing premiere education for traders and investors alike. It is exciting and rewarding for Online Trading Academy that the FXStreet community has once again voted them winners in two categories. Results from a Franchise Business Review's survey of Online Trading Academy franchisees place the education company in their Top 50 for franchise satisfaction. Online Trading Academy's roll-out of My OTA 2.0 provides some exciting ease of use and tool updates, making the platform even more valuable to their students. Customer service is a high priority at Online Trading Academy, as proven by their being awarded Best Customer Service by LiveHelpNow for the 2nd year in a row. Online Trading Academy staff members vote them a top workplace once again, as the core values of the company drive them to continued dedication to student success. Online Trading Academy's 12th annual conference focuses on technological improvements that, in conjunction with continued excellence at their on-location centers, will enhance the student learning experience. When tragedy struck members of the Online Trading Academy Houston staff and student body, the Online Trading Academy network came together giving them some much needed financial support. In spite of all-time highs in the stock market of late, the overall consensus of Americans seems to be skepticism as incomes lag and retirement accounts aren't seeing the desired growth. Online Trading Academy is proud to be recognized by the Gramercy Institute for their student centered ad campaign showcasing student success stories. Online Trading Academy has always had a mission to make a positive impact on the world so their acceptance as a B Corporation is a matter of pride. It's an exciting time at Online Trading Academy as they prepare for their first-ever Student Conference, offering students the unique opportunity to hang out with and, more importantly, trade with top traders and instructors. Winning the Online Personal Wealth Award is truly inspiring for Online Trading Academy as they continue their commitment to students by developing innovative ways help students succeed in the financial markets. It is quite an honor for Online Trading Academy to consistently be recognized for its education content via FXStreet's Forex Best Awards. Being named a top workplace in Orange County is an honor Online Trading Academy takes pride in as it validates their efforts to provide an enriching environment for staff and students alike. For the third time this year, OTA ranked in the top 100 out of more than 10,000 companies measured by the LiveHelpNow Challenge metric score. Online Trading Academy proves its commitment to student success by sharing students' unfiltered reviews online. The popular ProActive Investor course at Online Trading Academy has been revamped to reflect the realities of today’s markets. Aspiring traders and investors in the Brooklyn area now have easy access to premiere trading education at Online Trading Academy's new campus. Online Trading Academy Dallas is excited to be educating students in trading and investing at a brand new state-of-the-art facility. New York offers a variety of property types for real estate investors and now those interested in becoming investors or expanding their reach will have easy access to real estate education courses. Financial education courses covering trading, investing and money management will now be more convenient for those in the Westwood and Beverly Hills communities. One of the financial industry’s brightest honors was again awarded to instructors at Online Trading Academy. Home to a growing number of financial institutions, Brooklyn residents will now have access to the premier trading and investing education offered by Online Trading Academy right where they live. Online Trading Academy wins Brandon Hall Group silver award for excellence in the Best Advance in Unique Learning Technology category. Online Trading Academy's commitment to excellence starts with providing a positive work environment. They are honored to have won the Orange County Top Workplace Award for the second year running. Epic instructors and center personnel from around the globe were awarded for their part in making the success of Online Trading Academy's Epic Mission possible. Online Trading Academy's worldwide team came together for the 10th straight year to celebrate their accomplishments and plan for the continued success of the company and, more importantly, their students. Online Trading Academy Houston is honored to receive an award recognizing the financial education center's commitment to their students and their community. Sam Seiden predicts the market decline and demonstrates that profits can be made in any market for those who have learned Online Trading Academy's proven strategies. August marks the 10th year of Online Trading Academy's partnership with Al Khaleej Training and Education, providing superior trading education to traders and investors in the Middle East. Larger classrooms and the latest technology are among the benefits students will enjoy at the new Online Trading Academy New Jersey center. Vancouver area residents can now benefit from trading and investing courses at an expanded financial education center. Many Americans don't feel they will be ready for retirement, but Online Trading Academy can set you on the path to a secure financial future. Trading and investing education has a new venue in Toronto with the move of the Toronto center to a new location. Using proactive tax strategies throughout the year can help reduce your tax liability. Tax season can be stressful for many but Online Trading Academy teaches strategies to help reduce your tax debt. 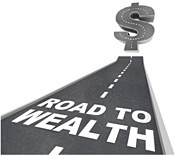 Online Trading Academy encourages investors to use tax saving strategies in their wealth management plan. Online Trading Academy expands services to the Boston community with a new facility and additional financial course offerings. For 5 years now Power Trading Radio has been bringing the advice of financial experts on topics surrounding stocks, options, Forex, futures and wealth management to their listeners. Online Trading Academy instructors are recognized for exceptional education content in multiple areas, continuing their commitment to provide premier education content in not only Forex, but all asset classes. Online Trading Academy's commitment to providing premier education content is recognized with the nomination of two instructors for the Forex Best Educator Award. Sam Evans and Rick Wright's contributions to Online Trading Academy's newsletter, Lessons from the Pros, are in the running for Best Educational Article. Growing demand for trading and investing education prompts Online Trading Academy to expand its pool of instructors. Ohio Valley students who only had access to online financial education can now attend on-location classes with the opening of Online Trading Academy Cincinnati. The opening of a new center in Sacramento, CA allows Online Trading Academy to offer trading, investing and financial education to a growing number of the population. New student portal called MY OTA gives Online Trading Academy students quick and easy access to past, current and future trading education opportunities. Online Trading Academy is offering Free Half-Day Classes for those interested in learning to manage their own investments at their new location in Orlando, FL. Online Trading Academy expands its curriculum to include financial education through all walks of life, from personal finance to retirement and tax planning to home ownership and more. Online Trading Academy expands is curriculum and its reach with new class offerings and a new center in the Boston area. Employees in Irvine, CA give Online Trading Academy high marks in Workplace Survey conducted by the OC Register. Online Trading Academy continues to expand their reach with new educational content and additional centers to accommodate the growing number of students. Online Trading Academy acknowledges instructors and centers who have stood out in their dedication to providing outstanding trader education. Continuing on their quest to make financial education easily accessible to everyone, Online Trading Academy prepares to open its doors in Sacramento. When the market is slow investors and traders have an opportunity to refine their trading plan and sharpen their skills with professional wealth management and trading courses. Online Trading Academy to open its doors in Cincinnati, providing investment and trading education for locals looking for financial security now and in retirement. Online Trading Academy answers the need for a trading and investing education center in Orlando, Florida's hub for finance, government and commerce. Steve Forbes joins Merlin Rothfeld and John O'Donnell on Power Trading Radio to talk about a flat tax and the gold standard. Online Trading Academy's new website allows for easy navigation on multiple devices. Online Trading Academy is honored to be recognized for their exceptional Forex Trading education taught using Patented Core Strategy. Atlanta, Georgia investors and traders now have access to professional trading education with the opening of Online Trading Academy in Roswell. Online Trading Academy is ready to meet the growing demand for trading and investing education with the Grand Re-Opening at their new state-of-the-art headquarters and trading education center in Irvine, CA. Real Estate Investors learn to evaluate real estate decisions and build a strategy based on three important factors. Learning when not to trade is one of the important lessons taught at global trading academy. Rising interest rates affect the financial markets, requiring traders to make smarter investment decisions. Rules-based core strategies taught in Online Trading Academy's Professional Forex Trading course take the fear out of navigating the volatile Forex market. Online Trading Academy Irvine relocates to meet the growing demand for financial education. April is Financial Literacy Month and Online Trading Academy marked the occasion by launching their Financial Literacy Quiz. Michael Atias shares steps you can take now to help reduce your 2014 tax liability. Online Trading Academy female trading instructors, Diana Hill, Debbie Hague and Jasmine Wang encourage women to take control of their investments. FXStreet.com members vote Sam Seiden Best Educational Content Provider and Best Webinars Educator for 2014. Online Trading Academy's patented core strategy will help traders and investors around the world make smarter investment decisions. John O'Donnell talks about retirement confidence and the ability of investors to meet their retirement goals. Diana Hill talks about why rental properties look like a promising investment in 2014. Sam Seiden and Brandon Wendell webinars offer valuable educational content for the Forex market, according to FXStreet.com. This informative infographic offers traders and investors some insight on stocks that are likely to pay off in 2014, as well as those that aren't as promising. Traders and investors turn to Online Trading Academy for tax time strategies. Trading Academy Tax Director, Michael Atias, offers his advice. Worrying about investments can put a damper on vacation fun. Follow these simple steps to protect your investments and free yourself from worry. See what the holidays look like from a spending perspective with this informative infographic. How do turkey dinners, travel and Black Friday effect the economy? Take a look at this Thanksgiving infographic and see if your holiday spending patterns are in line with average trends. Online Trading Academy's dedication to excellence in financial education is recognized as they are named finalists in several categories of the Trader Planet Star Awards. Free financial content from Online Trading Academy is now collected in one convenient social hub. Online Trading Academy seeks to empower veteran and civilian retirees by opening a new financial education center in San Diego, CA. Continuing their commitment to transforming lives worldwide, Online Trading Academy holds 8th Annual International Conference to discuss best practices in enriching the lives of students. Excellence and dedication is rewarded at Online Trading Academy's "Enriching Lives" conference. New owners join forces to create buzz for online and on-location classes in Seattle’s technology rich community. Sam Seiden offers 5 steps to take to protect your portfolio from financial disaster. FXStreet.com Twitter promotion awards one lucky winner with lifetime access to Online Trading Academy's XLT program. Overwhelming demand has led Online Trading Academy New York to open a Long Island center, joining a rapidly growing list of Online Trading Academy locations worldwide. Trading and investing students across the globe can now access Online Trading Academy's full range of trading courses online. Online Trading Academy Tampa Bay is now offering more Stock, Options and Forex courses in a new, more expansive trading education center. US National Debt Clock Infographic takes a look at the national debt over time and in comparison to other countries. Online Trading Academy continues their mission to transform lives worldwide through exceptional trading and investing education with new partnerships and Free Half-Day Classes in Australia. Franchise opportunities are being offered by Online Trading Academy in select areas around the United States. Online Trading Academy students share their trading success stories. Online Trading Academy meets the needs of traders on the go with the launch of a new mobile website. Small investments are an important part of long term financial security, as shown by Online Trading Academy's interactive product grid. Diana Hill, Real Estate Investing Instructor for Online Trading Academy, teaches investors how to use supply and demand principles to navigate the housing market profitably. Sam Seiden discusses how to time market moves and turns, a topic taught in-depth in Online Trading Academy's XLT program. Online Trading Academy Dubai is honored to be recognized for their service in the Middle East, North Africa region as a premiere trading and investing education center. Join Online Trading Academy at the MENA Forex Show and learn how they educate students with their patent-pending supply and demand trading strategy. Sam Seiden continues creating award winning educational content for Online Trading Academy courses. Core Tax Strategies from Online Trading Academy and OTA Tax Pros were developed to provide tax return guidance to investors and traders facing new regulations. A historical timeline of the financial markets and the emergence and growth of Online Trading Academy. Eyal Shahar has been nominated for an entrepreneurial award for his leadership role in growing Online Trading Academy into a global leader in financial education. Online Trading Academy offers students a chance to learn from top instructors in Dubai as they conduct live trading sessions. Sam Seiden and Online Trading Academy's Lessons from the Pros are recognized by FXStreet.com for superior educational content. Online Trading Academy's award winning newsletter, Lessons from the Pros, gives traders easy access to exceptional education content. Not even a month into the new year Online Trading Academy is honored by multiple award nominations for trading courses, newsletters and webinars. In an attempt to distinguish its market timing supply and demand strategy from other trading tools and systems in use today, Online Trading Academy has filed a patent application. Money is on the minds of many as they set their New Year's Resolutions and Online Trading Academy is here to help them meet their goals. Online and on-location trading courses teach investors to manage their own portfolio, leading to a financially secure and stress free retirement. Online Trading Academy continues global reach by hosting events across the U.S. to introduce their educational services. Global financial education center, Online Trading Academy, has been nominated as a finalist in two categories for Trader Planet's STAR Awards. This initiative from IBMC and Online Trading Academy is expected to have a far reaching impact, truly helping Foreign Nationals and NRIs. Online Trading Academy is honored to be a three time winner at the Middle East Forex Expo for their valued Forex educational training. Former Online Trading Academy graduates return to the premiere trading education center as trading instructors. Online Trading Academy celebrates their 2012 outstanding instructors and education centers at the Beyond Exceptional International Conference. Personnel from the Online Trading Academy network met to share company goals, insights and best practices. Baby boomers return to school looking to grow their nest egg with the help of Online Trading Academy. Online Trading Academy teaches aspiring traders and investors a realistic, real world approach to trading the Forex, options, futures and equities markets. The course is designed to prepare and train futures traders to identify trading opportunities world-wide and take action on those opportunities using Online Trading Academy’s core trading strategy. Online Trading Academy launches a new website with an enhanced user interface, making accessing a professional trading education easier than ever. With the Professional Trader Course, students will learn to properly execute Online Trading Academy’s rule-based Core Strategy to achieve the goal of creating short term income and long term wealth. Online Trading Academy helps students and investors forecast real estate appreciation. Online Trading Academy students are excited to talk about the success they've had since graduation. Those who may be affected by the proposed pension reforms can take action through education to stabilize their retirement with the help of Online Trading Academy. Online Trading Academy's tax strategies course is designed to teach tax savvy investors to lower their tax liability while staying in compliance with the IRS. Online Trading Academy is looking to expand the global network of trading and investing centers with franchise opportunities in major U.S. cities. Online Trading Academy will be providing additional information, support and strategy advice to Forex traders due to its partnership with ADS Securities. Since 1997 Online Trading Academy has been on a mission to transform lives worldwide via exceptional trader and investor education. The exponential growth of Online Trading Academy is an important part of a global trend of individuals worldwide who are actively seeking a proper education on how to efficiently and successfully manage their money and understand the financial markets. During an election year, the state of the economy can be volatile and uncertain but at Online Trading Academy they are showing prospective students that the markets don’t have to be a scary thing. Online Trading Academy Master Instructor, Merlin Rothfeld, will give presentations on how to successfully approach your financial strategy. Eyal Shahar was nominated for the 26th annual Ernst & Young Entrepreneur of the Year Award for his vision and passion. Online Trading Academy New Jersey teaches 7th and 8th graders the basics of trading. Online Trading Academy is happy to expand their presence in Asia with the opening of its second financial education center in the area. The new center in Jakarta, Indonesia, enables them to empower more traders through knowledge. Online Trading Academy’s 2011 success continues into 2012 with a number of accolades, as they re-emphasize their commitment to student success, an important keystone in the Online Trading Academy business model. Online Trading Academy’s Vice President of Education, Sam Seiden, educates attendees about unconventional trading methods for profit. Seiden, Online Trading Academy’s Vice President of Education, wins Forex Best Awards 2012 in all three nominated categories. Online Trading Academy’s master instructor, Merlin Rothfeld, shares expertise in minimizing risk, increasing profit, and utilizing an online trader community. Online Trading Academy Launches the "Mastermind Community"
Chosen by TraderPlanet.com members’ votes, Online Trading Academy’s trading course and newsletter proved to be of exemplary content and value for traders. The global network of financial education centers reaches for the stars in Trader Planet’s STAR Awards final round. Online Trading Academy’s Master Instructor, Don Dawson, shares his expertise in the Commodities Markets at the 2012 Singapore Mercantile Exchange. Online Trading Academy rapidly expands into Asia: building a student base in Singapore and Indonesia. Survey responses from Online Trading Academy employees in Orange County name it one of the best places to work in the small business category. All Asset Mastery XLT gives elite traders the unique opportunity to learn from and network with other highly experienced traders across multiple asset classes. Long time Online Trading Academy instructor accepts new challenge of managing several important education programs for the company. The newly created position of Instructor Development Manager will meet the growing need for additional instructors and expanded instructor training and development. Online Trading Academy is now offering tuition financing to prospective students in the form of financing plans offering six months same as cash, 12 and 24 month terms. Online Trading Academy of Colorado was honored to receive the Timberline Award from Rocky Mountain Performance Excellence at its annual award ceremony on Nov. 4, 2011 in Denver, Colorado. Online Trading Academy's unending commitment to their student's success is apparent in the satisfaction rating they receive from graduates, and is a great source of pride for the company. To continue their theme of "transforming lives" at Online Trading Academy's 6th Annual International Conference, the trading and investing education academy held an award ceremony for their global team and franchise network. Gene Longobardi accepts the newly created position of COO for Online Trading Academy, offering his years of management and franchising experience in new and exciting ways for the company. New Kansas City campus owner welcomes All-Star Instructors Ryan Watkins and Dan Sugar. Online Trading Academy is proud to announce the Detroit, Michigan franchise has been awarded to Bob Bolya. Boyla is excited to host his first All Star Event for the Detroit Metro area. Online Trading Academy shows commitment to its vision and mission of transforming lives by teaching people worldwide how to trade with proven strategies and discipline. With over 25,000 graduates and counting, Online Trading Academy is a powerful resource for their students. Online Trading Academy's Mumbai location is proud to have trained 1,000 students in the art of trading in its first year of business, and looks forward to helping many more traders reach their financial goals. Sam Seiden provides timely and informative market information through Online Trading Academy hosted blog designed to help people find safe ways to invest their money. Sam Seiden investigates the myth that women lack the toughness and mindset required to excel in the trading world. Two full days of free trading classes will be offered in Jacksonville, Florida as Online Trading Academy expands their reach and educates the general public about opportunities to generate income and preserve capital. Online Trading Academy is teaching real estate strategies that can help individuals sell their larger homes at attractive prices, extract maximum equity and move into a smaller home with little or no debt. Online Trading Academy Austin moves into a new state-of-the-art facility giving their students a definitive edge on their trading education journey. This national campaign has been launched to raise awareness that it is possible to take control of your finances and protect your capital in today's volatile market. Educational and informative webinars are being offered by Online Trading Academy to expand education and understanding about how to realize success and profit as a trader. Merlin Rothfeld and John O'Donnell will host the Online Trading Academy's Power Trading Radio program live from the floor of the International Trading Expo. Online Trading Academy Colorado grants three top Stock Market Game teachers each a scholarship for a 2-day Investing Course. Some professional football players turn to Online Trading Academy to help secure their financial future as uncertainty about the NFL football season grows. Husband and wife team, Online Trading Academy graduates, and Online Trading Academy Philadelphia owners take over ownership of the New York City and New Jersey campuses. Attendees at the 8th annual Middle East Forex Expo voted Online Trading Academy the Best Forex Education Provider. Online Trading Academy's Power Trading Radio show celebrates its first year and looks toward continued growth in the year to come. Online Trading Academy is happy to announce their global expansion into China allowing them to offer their proven trading education courses to thousands more. Online Trading Academy Washington DC and Baltimore graduates first Project VETS scholarship recipient and looks to enhance the lives of more veterans with service-connected disabilities through the program. Singapore Mercantile Exchange, the first trans-Asian multi-product commodity and currency derivatives exchange, has signed a memorandum of understanding with Online Trading Academy. Sam Seiden, Online Trading Academy’s Vice President of Education, has won Forex Best Awards for 2011 from FXstreet.com in every category in which he was nominated. The winners of FXstreet.com's first Forex Best Awards, an event that highlights the best analysis and educational content and experts of the Forex English-speaking market, are revealed. Online Trading Academy instructor Sam Seiden is honored to have been nominated under three categories in the FXstreet.com Forex Best Awards. Online Trading Academy Phoenix celebrates grand re-opening with Free Half-Day Classes hosted by John O'Donnell. Power Trading Radio launched on April 5, giving listeners a live perspective of the markets. The show is now setting podcast download and page view records. The Online Trading Academy community of traders expands to over 20,000 graduates from the various courses offered by the global trading educator. Online Trading Academy's Pro Picks service becomes a popular feature of the Trader's Dashboard, allowing members to see trade setups and potential opportunities chosen by a select group of Online Trading Academy instructors. Justin Krebs is honored to be named Online Trading Academy instructor of the year. The Trader’s Dashboard is packed with "Trader Tools" to assist investors and traders in finding opportunities in the market. Students can now access the proven education content of some of Online Trading Academy's most popular trading courses Live! via the internet. A pact has been signed between Online Trading Academy and Sharekhan, one of India’s leading retail broking houses, to provide trading and investing education to customers in India. Online Trading Academy's Hour with the Pros logs its 200th online education session. The conclusion of the first Professional Trader Course delivered in Mumbai marks the beginning of a wealth of learning for India investors. Instructor Sam Seiden accepts position as Vice President of Education and Product Development for Online Trading Academy. The Middle East Online Trading Summit and Awards Dubai 2010 will be the largest online trading exhibition, conference and awards event in the MENA region. Wendell will present a four-hour seminar in which he will demonstrate and explain, in detail, several successful techniques for analyzing related markets for predictive and confirming indications. Online Trading Academy takes All Star Events to the next level with additional instructors and presenters. Online Trading Academy is excited to expand its futures content and resources with the cooperation of CME group. Facebook, Twitter, YouTube and a Trading Blog allow Online Trading Academy to offer more resources and make broader connections with traders and investors. The Financial Education Center offers free educational content on Technical Analysis, Forex Trading, and strategies for investing with ETFs. Graduates of Online Trading Academy are encouraged to share their stories on video for a chance to win prizes. Company growth and an increase in the number of people looking to take control of their finances is met with additional instructors joining the Online Trading Academy team. New Orlando owner joins the growing Online Trading Academy franchise network. The educational programs will provide traders with comprehensive data and overviews that will help better their understanding of the benefits of trading precious metals, including gold. At the Traders’ Expo, Rothfeld will present a four-hour seminar in which he trades live in the markets and explains his strategies in real time. Brothers with strong financial backgrounds take over the Online Trading Academy Chicago location. Online Trading Academy London Partners with Windsor Brokers Ltd. The partnership will enable Online Trading Academy students to use the Windsor MT4 platform for training purposes and Online Trading Academy London graduates will receive full tuition reimbursements from Windsor. Online Trading Academy teaches investors to take disappointing long term investments and turn them into profits in their ProActive Investor course. 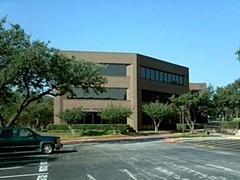 Husband and wife and Online Trading Academy graduate team show their belief in the trading program by purchasing the Houston franchise location. Texas is happy to welcome a family team as new owners of the Online Trading Academy Austin campus. Traders have a new resource as Online Trading Academy launches its live radio show. O’Donnell will explain how consumers can hedge against the coming global debt purge by understanding how the world economy really works. Online Trading Academy is set to open its 3rd location in Asia. Singapore is to be the first Online Trading Academy financial education center in Asia Pacific. Sharekhan partners with Online Trading Academy to open a financial education center in Mumbai. The All-Star Trader Event brings Online Trading Academy’s top trading professionals into one room to share their trading insights and their secrets to successful trading. Online Trading Academy is excited to launch its customer reviewed and very intuitive website featuring free online membership giving access to many helpful features and educational content. Attendees will meet the experts of award-winning Online Trading Academy Dubai as they reach out to traders, investors and brokers at the event and provide educational opportunities to help traders reach their currency trading goals. Online Trading Academy is honored to receive the Export Achievement Certificate. The Philadelphia franchise joins a rapidly growing list of locations worldwide for the leader in financial education. This will be the third Online Trading Academy franchise in Florida. They will be offering Free Half-Day Classes to celebrate their grand opening. Eyal and John discuss the drastic changes in the financial landscape and what is in store for the future. Find out if real estate is the right fit for you in a free half day workshop in Irvine, CA. Online Trading Academy San Jose owner opens a second location for Concord residents. Emotions are one of the greatest barriers to a trader's success. Now Online Trading Academy offers a course to help traders take control of their emotions and gain the success they seek. The Platform Immersion course has been expanded to give students even more in-depth training on the trading platform. Online Trading Academy's new real estate course is designed to teach traders to take advantage of the downturn in the housing market by including real estate as part of their portfolio. Traders can take their Options trading skills to the next level with the new Options XLT, the natural next step after graduating from Options Trader Part 1 and 2. The new center will open where the Stock Exchange was founded in the United States. The Miami location will be the 31st location for Online Trading Academy. Online Trading Academy continues to fulfill their mission to transform lives worldwide through exceptional trading and investing education. Online Trading Academy is proud to announce that a 2nd franchise location is set to open in Northern California later this year. The Platform Immersion course is designed to teach traders to use the full expanse of the trading platform thereby increasing their trading proficiency. Plan the trade, trade the plan – this course will help you develop the missing element to your trading success. Developed by market experts, these professional trading courses can help take your trading to the next level and are being offered as convenient home study courses. Free Half-Day Classes to be offered at the grand opening of Connecticut's first Online Trading Academy campus. These courses are designed to prepare active traders and investors to trade like the professionals do in all aspects of the trading world using the latest tools and direct access trading software. Online Trading Academy Set to Host Tax Strategies Workshops Across the U.S.
Traders will learn strategies they can implement to lower their trading tax burden. Wall Street professionals share their valuable insights on the path to becoming a successful trader. Online Trading Academy to Expand Their Franchise Locations in the U.S. The demand for trading education has increased exponentially with market volatility and Online Trading Academy has met that need by opening new centers around the world. Traders in Kansas can now cut through the dense jungle of trading advice and information and get an education that will allow them to make knowledgeable, high probability trading decisions with the opening of Online Trading Academy's new campus. Milwaukee will have an Online Trading Academy center to call its own later this month allowing traders of every level to hone their trading skills and find success in the market. Online Trading Academy Dubai campus is honored to have been chosen for this award for their work in trader education. A couple hundred industry experts, instructors, franchise owners and associates from Online Trading Academy’s worldwide locations met in Irvine to share their insights and outlook for the future. Don't just sit there and let your money disappear; learn what actions to take to protect your financial future. It seems quite fitting that Online Trading Academy should open a center in the city that Wall Street calls home. The new Stamford location will be the 30th Online Trading Academy campus to open its doors. The Seattle, Washington campus will celebrate its grand opening with Free Half-Day Classes. Online Trading Academy is proud to announce the signing of a new franchise agreement for Kansas City with plans of opening in the fall. Boston's 2nd anniversary celebration will include Free Half-Day Classes hosted by the new owners as well as Mike Mc Mahon. The owner of Online Trading Academy Washington DC will open a second center for Baltimore residents. The Denver campus will celebrate its grand opening with free Half-Day Classes. The Sunshine State smiles on investors and traders with the opening of a third campus. The Georgia Online Trading Academy campus will celebrate its grand opening with Free Half-Day Classes hosted by John O'Donnell. This new Manhattan location will be the 27th for Online Trading Academy. Online Trading Academy is proud to announce an agreement with a new franchise location in Baltimore, Maryland. During the month of June, Online Trading Academy and Saxo Bank will host a series of Forex Trading events in five California cities. The XLT Futures courses allows traders to strengthen their trading skills in a live trading environment, enabling them to refine their trading plan, identify pitfalls and trade with more precision. Online Trading Academy is proud of the good reviews it receives and strives to keep improving its business model for continued success of the company and the traders who put their trust in the organization's in-depth trading courses. Online Trading Academy is proud to announce an agreement for a new franchise location in Milwaukee, Wisconsin. Online Trading Academy is proud to announce an agreement for a new franchise location in Denver, Colorado. The Detroit campus will celebrate its grand opening with free Half-Day Classes. With the downturn in the economy more people are looking to protect their capital and are turning to Online Trading Academy to get an education in trading and investing. The live trading environment offered in the XLT Forex courses offers Forex course graduates the opportunity to continue their education in an interactive online community. The Charlotte campus will celebrate its grand opening with Free Half-Day Classes. The topics for the presentations will include: understanding price behavior and structure, understanding the current world economy, and understanding how the world economy really works. The San Jose campus will celebrate its grand opening with Half-Day Classes. Tampa joins Orlando as home of an Online Trading Academy campus. The grand opening will feature free Half-Day Classes. Online Trading Academy is proud to announce an agreement has been signed to open a new franchise location in the state of Michigan. London traders see the value of an education and look to Online Trading Academy to bolster their knowledge of the stock market and improve their trading success. At this exciting event, emerging companies from a wide range of sectors will present to an audience of brokers, hedge fund managers, portfolio managers and sophisticated private investors. The Manhattan franchise signing brings the number of New York offices to two. Recently named the top city in the US for business, Minneapolis is now home to a leading in professional trader education center. Atlanta campus will bring Georgia traders access to Online Trading Academy's proven trader education. Charlotte campus to be the first to open in North Carolina offering traders a complete education in equities, Forex, futures and options. Traders in Arizona can now learn to trade at Online Trading Academy, the only trading school to offer live trading with real capital in class. Online Trading Academy's learn by doing approach and unique policy of allowing students to trade with real capital on live accounts while in class has been met with growing enthusiasm as they celebrate opening eleven centers in their ten years of business. Washington DC campus will celebrate its grand opening in conjunction with the annual DC Money Show. Seattle campus will be the newest West Coast addition to the Online Trading Academy roster. The opening of the San Jose campus brings the number of Online Trading Academy centers in California to three, expanding the opportunity for California traders to take advantage of the experience and knowledge of professional trader/instructors. An agreement has been signed to open a new Online Trading Academy campus in Tampa. In honor of the facility’s grand opening, Online Trading Academy Singapore will hold several free investor and trader workshops. Carefully planned locations payoff for Online Trading Academy according to a recently released report. Education is an ongoing process and Online Trading Academy meets that need with its new XLT courses where traders can continue the learning process in a live market learning environment. Online Trading Academy brings trader education to people around the globe with plans to increase the number of centers worldwide to twenty-one. With market volatility increasing more and more investors are taking control and Online Trading Academy is there to help with a complete education solution. People of all walks of life can learn to navigate the stock market successfully through Online Trading Academy courses. Let us answer your questions and prove our commitment to your success. The Orlando campus will celebrate its grand opening with free Half-Day Classes. The opening of Online Trading Academy Toronto brings industry award winning strategies to Canadians. Online Trading Academy aims to expand its reach and operate even more efficiently with the help and experience of new team member, Tony Harkey. Canada residents will now have the opportunity to take advantage of Online Trading Academy's proven educational content with a center opening in Toronto. Online Trading Academy's expansion to the UK allows residents the opportunity to get a professional trading education at a state-of-the-art facility in London. They will kick it off with free Half-Day Classes to celebrate the grand opening. The Chicago campus will celebrate its grand opening with Free Half-Day Classes. Financial education franchisor Online Trading Academy today announced the awarding of its franchise rights in the United Kingdom. Financial education franchisor, Online Trading Academy today announced the opening of its Boston, Massachusetts training center. Online Trading Academy, leading financial education franchisor has signed an agreement for an Online Trading Academy franchise location in Orlando. Financial education franchisor, Online Trading Academy today announced the opening of its Los Angeles training center. Moving forward with its mission to educate investors on the benefits of trading and how to trade successfully, Online Trading Academy is set to open new centers across the U.S.
Online Trading Academy franchise set to open in Secaucus bringing proven educational trading content within easy reach of thousands of more investors. The Saudi Arabi location will mark the second Online Trading Academy franchise to open in the Middle East. Online Trading Academy is happy to announce an agreement has been signed to open a franchise in Boston. The agreement allows Al Khaleej to develop Online Trading Academy franchises throughout the Middle East and certain North African countries. Online Trading Academy is happy to announce an agreement has been signed to open a franchise in Los Angeles. Online Trading Academy is happy to announce an agreement has been signed to open a franchise in New York. The people asked and Online Trading Academy answered with new centers opening soon to meet the growing demand for trader education.